Ok…it’s actually named ‘Rainbow’…I just got creative but it has got a hippy love child vibe to it. This Chrysanthemum is an ANNUAL…simply sow the seeds directly into the soil in from mid April-May or September. 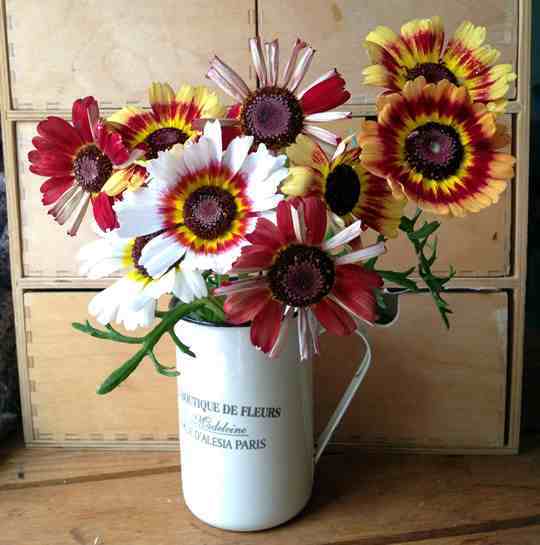 It has beautiful daisy like flowers in amazing contrasting colours. These are the ultimate retro chic flower that make wonderful cut flowers…keep cutting and it will keep producing more flowers. Can you dig it?…..man?